It is with pleasure the Red Door Gallery on Fraser is featuring two very talented artists from Ballarat, Sue Clarke and Susanne Graham both from the ‘Pen & Ink’ duo. 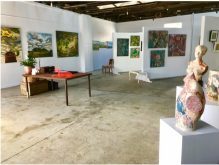 Their current exhibition ‘Contemporary Fusion’ is on display at the Red Door Gallery, at 31 Fraser Street Clunes Thursday – Sunday 10.00 am – 4.00 pm from the 9th May until 3rd June 2018. Sue Clarke and Susanne Graham met as members of the Ballarat Society of Artists inc. 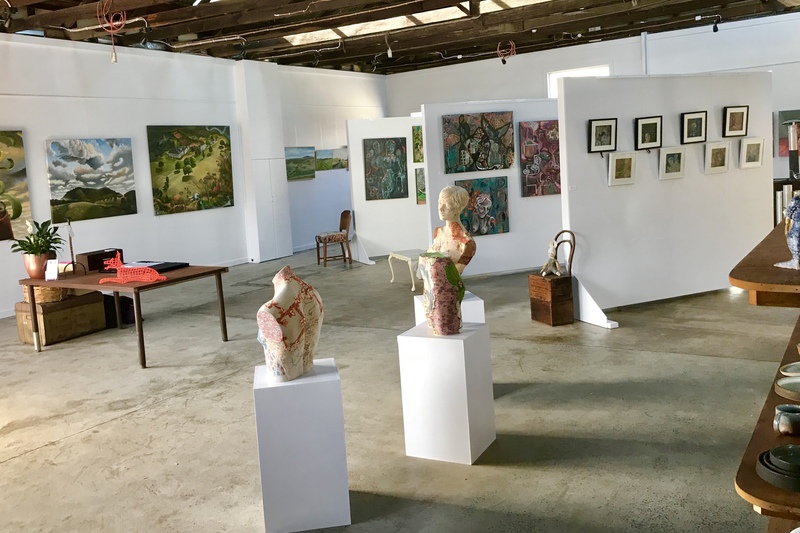 Together they formed their trademark partnership ‘Pen & Ink’ and have collaborated to exhibit their work at the Golden Plains Art trail, Clunes Makers Market Seasonal Fairs and the Castlemaine Artists Market. Susanne Graham studied Textile Design at the Royal Melbourne Institute of Technology (RMIT) and over a 15 year period has developed a unique style of fine black and white pen art with intricate patterning. Her other interests include textile art, spinning weaving and embroidery. The ‘Contemporary Fusion’ Exhibition’ is an excellent exhibit of both print and ink art and a must see for art enthusiasts who are looking for unique pieces in this chosen genre. Exhibits include both framed works, unframed pieces, cards and relevant merchandise.